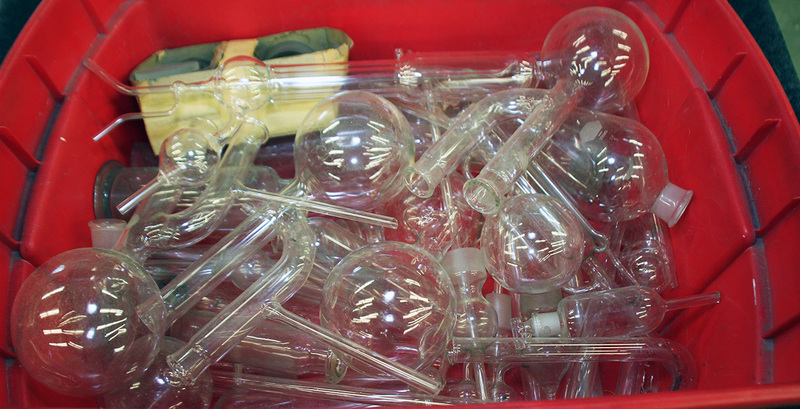 Even the best scientific glassware can break over a period of time. Don’t just throw it away. Let the professionals at Tecglass restore your glassware to its original quality. We also offer local pick-up and delivery. Our highly trained staff has the skills to put the pieces back together and save you money from buying brand new equipment. Through our vast experience and knowledge of the industry, we work to ensure our glassware repairs meet regulatory requirements for glass apparatus used for laboratory environments, so you can rest assure that you’re always getting the best when you choose us. At Tec-Glass, we know your time is precious, which is why we make it our mission to provide you with fast and affordable options for your custom glassware repairs.